Even if the fire department is just minutes from your business, a fire can spread with startling speed. An approved, well-maintained sprinkler system can help slow down a fire's progress until emergency personnel arrive. Be responisble and make the right choice to not only prevent and stop fires, but save lives. No one wants to think about fire, death, third degree burns or even losing a child to fire, but these tragedies occur daily throughout the world. Even the most efficient fire service cannot save every life or every property from extensive damage. We have been protecting families from fire for over 5 years by providing effective residential fire protection in homes all over the the Greater Toronto Area. We are fire safety experts with extensive knowledge of residential fire installation. Our fire safety experts are trained to the highest level of qualification and remain poised to help you prevent fire and protect your family. 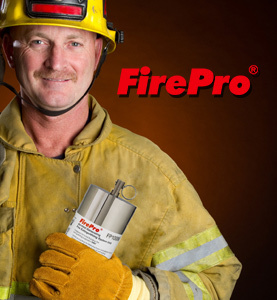 Contact us today and ensure that the nightmare of fire never becomes your reality. We specialize in retrofits as well as new installation. Our expertise ranges from single family dwellings from 1500 square feet up to 32,000 square feet. Our high rise installations are on-going. Anderson Fire Protection has continuing interest in new advances in design, and allows us to offer the most up-to-date installations available. Often people do take precautions to protect against fire, but these efforts are still not enough to fully protect a family. For example, most people are under the impression that the installation of smoke alarms will prevent loss of life and damage to property, but on analysis this isn’t the case. A smoke alarm alerts you to a fire but doesn’t prevent its rapid spread or protect anyone from burns or smoke inhalation. Fire extinguishers are a great residential fire protection idea, but again, fire extinguishers are only useful if you can access them in time. What if the fire has already spread throughout the property, blocking access out of the home and restricting you from reaching the fire extinguishers? These are horrible thoughts, but thoughts we need to deal with in order to realise the best residential fire installation method. 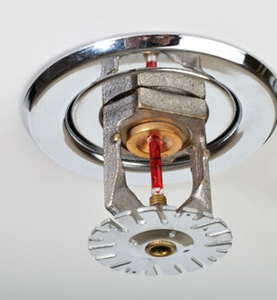 By far the most effective method for home fire protection is the installation of a fire sprinkler system. These sprinklers douse the fire with water, localising the fire and restricting the spread. Only sprinklers within close proximity to the fire will be activated, meaning water will only be present where the fire has engaged the home. 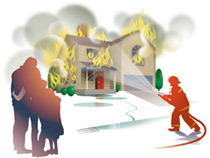 Sprinklers provide automatic fire protection for your entire family and are the only proven method of saving lives when people become trapped in the home or when a fire breaks out in the middle of the night when occupants are sleeping.